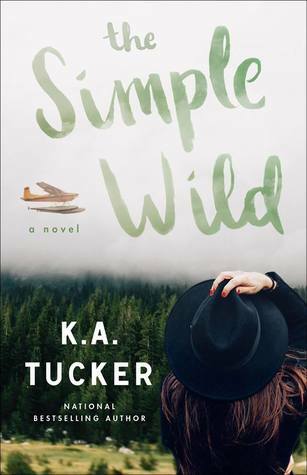 From Goodreads ~ Calla Fletcher wasn't even two when her mother took her and fled the Alaskan wild, unable to handle the isolation of the extreme, rural lifestyle, leaving behind Calla’s father, Wren Fletcher, in the process. 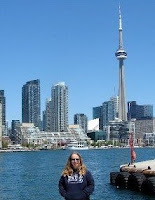 Calla never looked back, and at twenty-six, a busy life in Toronto is all she knows. But when Calla learns that Wren’s days may be numbered, she knows that it’s time to make the long trip back to the remote frontier town where she was born. She braves the roaming wildlife, the odd daylight hours, the exorbitant prices, and even the occasional - dear God - outhouse, all for the chance to connect with her father: a man who, despite his many faults, she can’t help but care for. While she struggles to adjust to this rugged environment, Jonah - the unkempt, obnoxious and proud Alaskan pilot who helps keep her father’s charter plane company operational - can’t imagine calling anywhere else home. And he’s clearly waiting with one hand on the throttle to fly this city girl back to where she belongs, convinced that she’s too pampered to handle the wild. Jonah is probably right but Calla is determined to prove him wrong. Soon she finds herself forming an unexpected bond with the burly pilot. As his undercurrent of disapproval dwindles, it’s replaced by friendship - or perhaps something deeper? But Calla is not in Alaska to stay and Jonah will never leave. It would be foolish of her to kindle a romance, to take the same path her parents tried - and failed at - years ago. It’s a simple truth that turns out to be not so simple after all. Almost 30 years ago, Susan and Wren met in a bar in Vancouver ... she was from Toronto on vacation and he was a pilot in a remote area of Bangor, Alaska. They fell in love, got pregnant and married and Susan moved to Bangor to be with Wren. A couple years later, she headed home to Toronto with their daughter, Calla ... Susan had had enough of the remoteness and being left alone so much. She hoped Wren would follow her and he hoped she would come back. Neither happened. Twenty-four years later, Calla is now 26 years-old and still living in Toronto. Susan is married to Simon, a well-to-do psychiatrist. Calla lives rent-free with Susan and Simon and her only chore is to take out the garbage once a week. Yes, she is spoiled. Calla was working for a bank and got laid off. That night she gets a call from Agnes, her father's friend, who tells her Wren has cancer and is about to start treatment ... it would be nice if Calla could come visit him. So Calla heads to Alaska for a week. After a few connections, Jonah, one of Wren's pilots, picks her up for the final leg of the journey but the plane is too small for all her luggage so she is only able to take what she needs and the rest will follow on a larger plane shortly. Unfortunately, her suitcases get lost and don't arrive as promised so she has to make do with what she had hastily jammed into a duffel bag. When she arrives, she discovers Bangor is a lot different than Toronto. There are only two grocery stores, things are a lot more expensive and scarce like soy milk for her coffees and Bangor is "dry" (no alcohol is sold). Jonah continually gives her a hard time because she refuses to go out without make-up and seems to be a bit of a "Barbie". At first, being with her father is tense because they haven't had a lot of contact over the years. But things get better as Calla and Wren get to know each other and even things with Jonah become less hostile. I've read lots of books by this author. For the most part, I liked this story and the writing style. It's written in third person perspective with Calla being the focus. As a head's up, there is swearing and adult activity. Calla is a typical 26-year-old living in the big city ... concerned about her appearance and into social media. Yes, Jonah was a bit mean (though honest) at times with her but he was used to being in the wilds of Alaska where there were more important things to worry about. I found Wren a bit dull. Yes, he was battling cancer so had other things on his mind but I thought the reason he neglected Calla over the years was pretty lame and he didn't seem overly excited that she had come all that way to see him. I found it a bit hard to believe that after all these years Susan and Wren still carried a torch for each other and Simon was a bit of a doormat for putting up with being #2 even though he was Susan's current husband. Calla seemed to care more about him and his feelings than his wife did. I didn't find Susan likable at all.